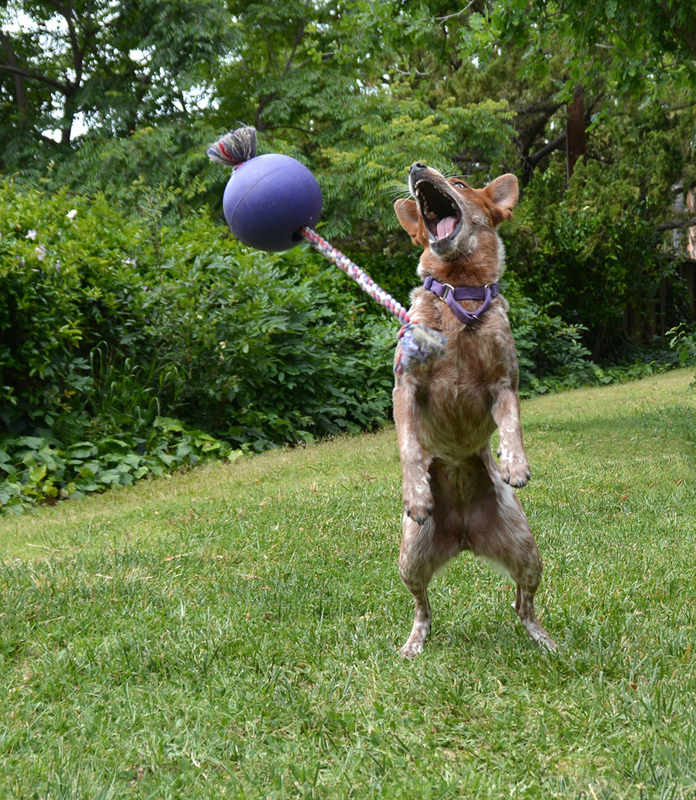 The Romp-N-Roll ball by Jolly Pets combines their self-inflating ball with a fun tug rope for an irresistible toy. The ball won't ever go flat, even if punctures it just pops back into shape. It also floats, even when full of water. The cotton rope is durable and soft on mouths. It is available in four colors and six sizes. Brisbane and Sisci love these things so much, I had to buy a second one. 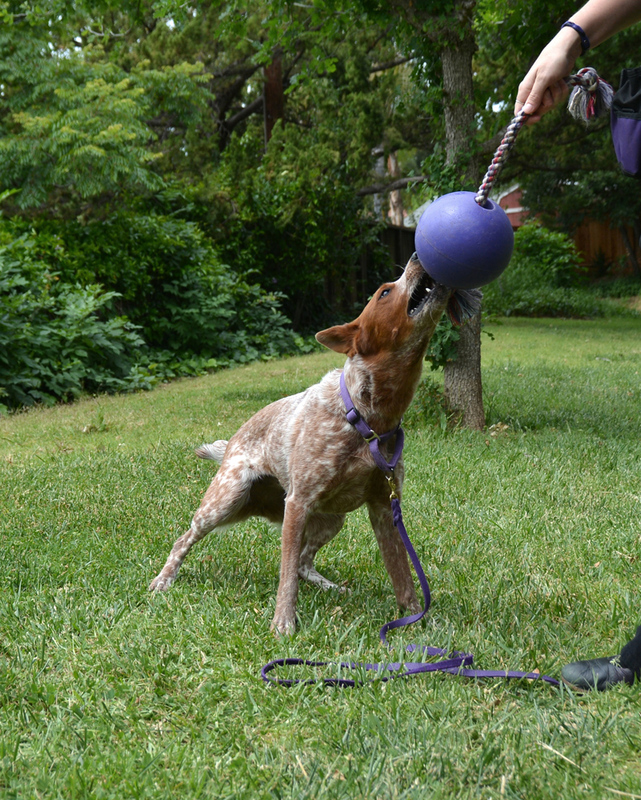 Jolly Pets basically added a tug rope to their irresistible Jolly Ball. Now the balls are slightly more interactive! 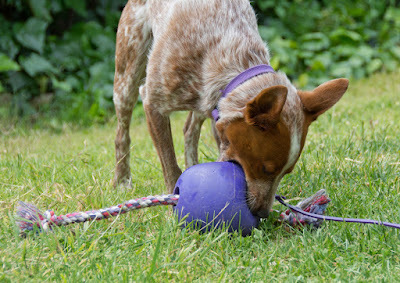 The only thing bad about Jolly Balls is that my cattle dogs find them addictive. I have the 8" balls, and there's nothing they like more than unhinging their snakelike jaws in order to chomp these balls. Over and over. Rhythmically. 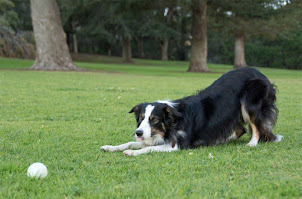 Because herding dogs come preloaded with OCD. 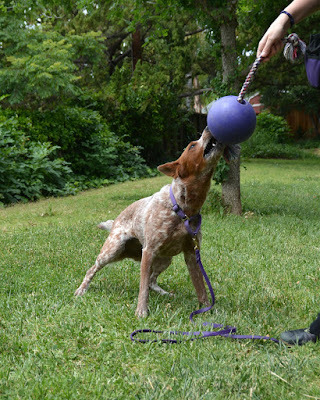 Even before Brisbane's first surgery, when he had a huge nasty tumor in his mouth, he was happy to bite his Jolly Ball. The rope makes it a little bit easier to snap Brisbane and Sisci out of Biting Stuff Nirvana. They both like playing tug, so I can finally join them in their Jolly Ball games. 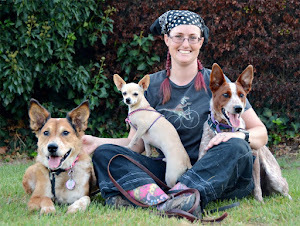 The dogs also love to carry and shake the balls by the ropes. This means the absorbent cotton rope can get a bit gross, fortunately these balls also are great for kicking. 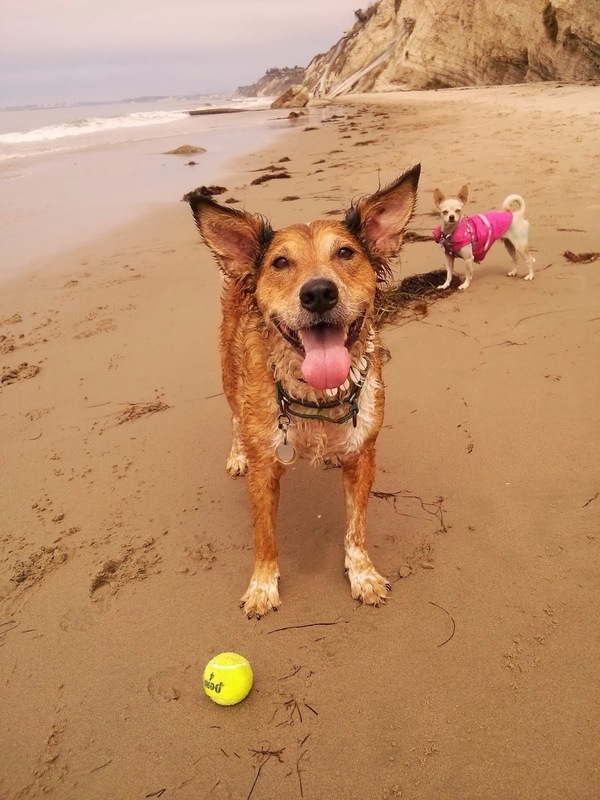 The Jolly Pets website actually recommends the Romp-N-Roll toy for water play. The ball is made from buoyant material, so it will still float even when waterlogged and filled with holes. It floats high, and is easy to see from swimming-dog-level. This ball comes in three different sizes. Mine at the largest, 8" in diameter. 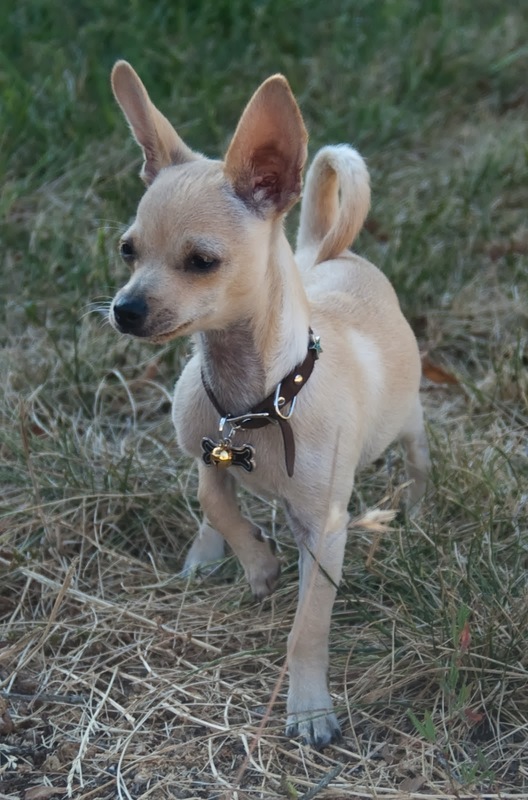 There are also 6" and 4.5" versions for smaller or less determined dogs. Pros: Made in the USA. Cotton rope can be easily replaced at the hardware store. Soft enough to kick, tough enough to stand up to a ton of biting. Will not go flat. Large enough for the largest dogs to play safely. Cons: It's not a chew toy. The biggest complaint about this toy seems to be that heavy chewers can destroy it easily, though it is not sold as a chew toy. 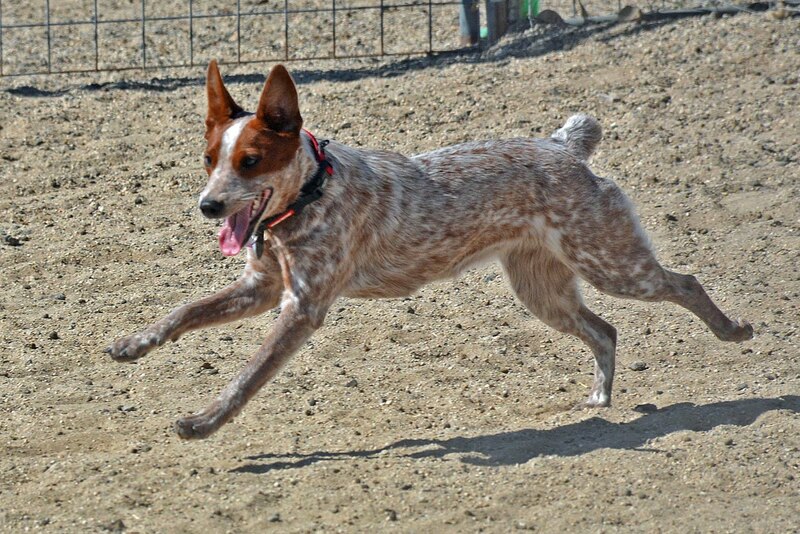 The largest size of ball is also quite solid and heavy, so smaller and more sensitive dogs may need one of the smaller sizes. 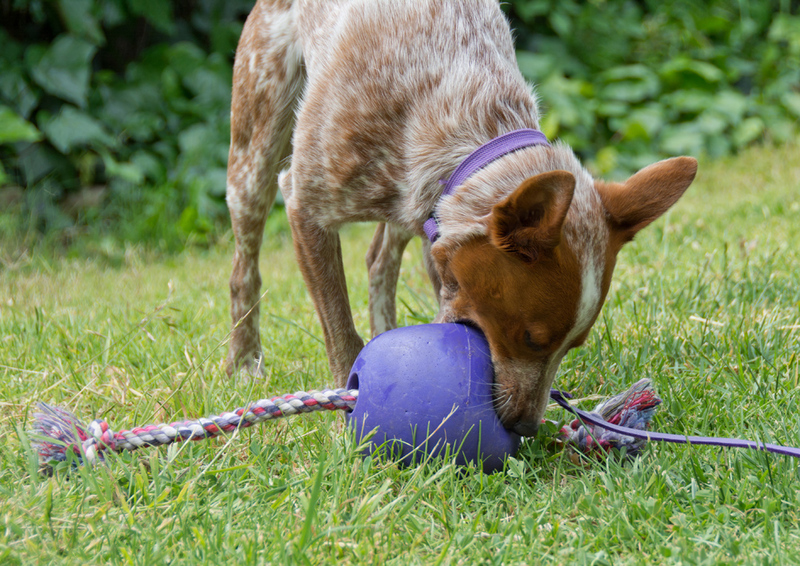 Bottom Line: Best as an interactive toy if your dog is a heavy chewer. Aside from Kongs, this is actually the only toy I've purchased two of. My dogs like it so much they don't want to share.